English - JUKKA SINIVIRTA WINE AND FOOD CONSULTING Ltd.
Mr. Jukka Sinivirta is a well known figure in the wine world of Finland. As a writer, lecturer, consultant, host of television and radio programs about wine he has become not only a respected expert of wines, but a personality when it comes to wines and gastronomy. Magazines and newspapers in Finland call him Mr. Champagne in their stories and profiles. His passion for fine wine and food has been enhanced by thorough studies of the subject and travelling in the wine countries well over 40 years. For twenty years he has been acting as a wine and food writer in Finland. He is the author of the book The Joy of Life and Champagne (Joie de vivre et Champagne), which was launched in October 1999, revised in 2004 and has sold about 10 000 copies. He has acted as a permanent columnist for Viinilehti, which is a special magazine for wine in Finland. He has contributed numerous articles to high-class magazines and newspapers such as Viinilehti, Etiketti, Helsingin Sanomat, Gloria, Glorian ruoka&viini, Glorian antiikki, Gourmet, Yhteishyvä, Miesten Gloria, Aja hyvin, FazerAmica Rakkaudesta ruokaan, Moottori and Sähköala about wine and food. In the spring of 1999 he wrote the manuscripts and acted as a host for the first wine program made for the Finnish television Channel 4. This program includes 14 parts of 30 minutes and was shown weekly till June 1999. The series was repeated in the autumn at prime time. Also in the spring 1999 Jukka Sinivirta attended as an expert a radio program called The Wine Club. These sessions were recorded at Auran Aallot in Turku and were broadcasted during three local radio stations. From the year 2000 he has prepared as a writer and speaker a series of 20 programs for National Broadcast Company Yleisradio about wine. 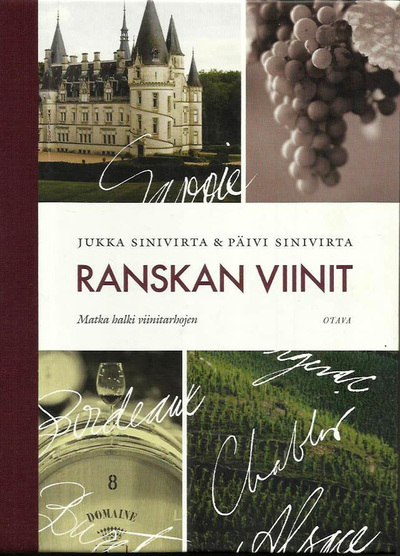 Jukka Sinivirta has translated into Finnish language Jancis Robinson’s Wine Tasting Workbook (Viininmaistajan kirja, Otava Publishing House 2000). Together with Yrjö Karjalainen he has written a book Port Wine (Portviini, Otava Publishing House 2003, two editions). Next year Jukka Sinivirta wrote a book about Cheese and Wine (Herkuttelijan juustokirja, Otava Publishing House 2004). This book received an “Oscar” since The Gourmand World Cookbook Awards 2004 chose it to be the Best Cheese Book in the World. It was the very first time this nomination came to Finland. 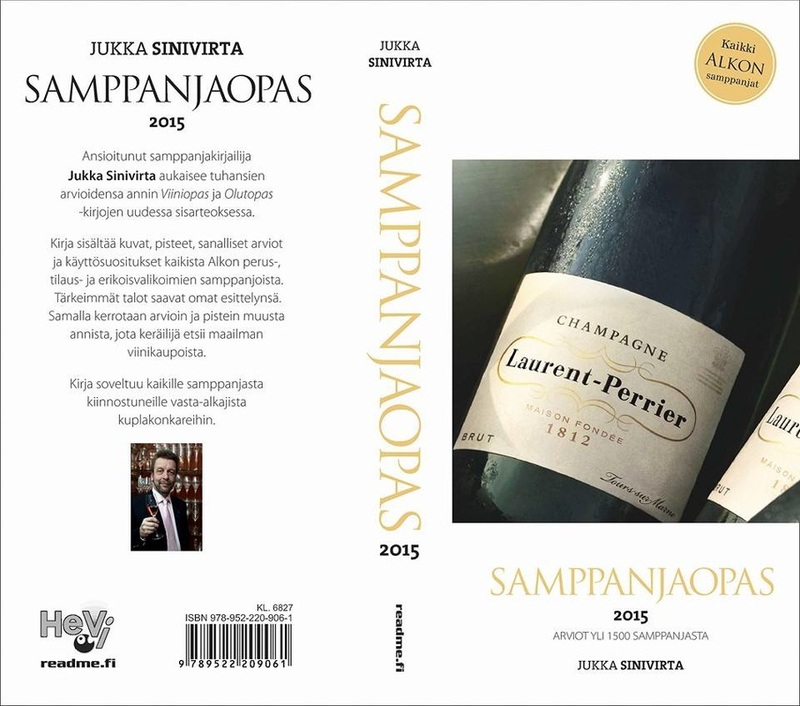 In autumn 2007 Jukka Sinivirta launched a new book about Champagne (Herald of laughter, fuel of happiness – Champagne) and it has been a success in Finland and still available. In autumn 2008 Jukka Sinivirta launched a book about The Wines of France – A journey through the vineyards introducing briefly all the major winegrowing areas of France. This book received The Gourmand World Cookbook Awards 2009 nomination to be the second Best Book over the French Wines. May 2013 was the month for smart phone application Champagne guide. It is in Finnish for iPhone- and iPad. 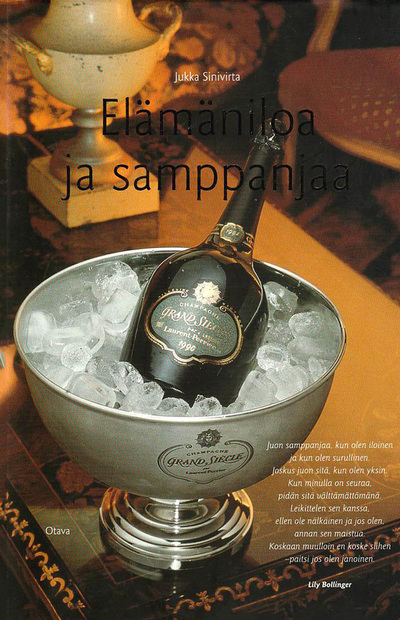 It took over two years for Jukka Sinivirta to prepare its contents. Today it introduces well over 200 producers of Champagne and personal tasting notes of Jukka Sinivirta for more than 1700 different champagnes. In this application you find also overall knowledge and facts about Champagne, recommendations for food pairings and advanced search functions. Technical part was made by Metavisual Ltd in Oulu and Heinäpään Viestintä Ltd is the publisher. This high tech application is updated all the time through the cloud services. The same application came out in English version What a Champagne! June 2013. It is sold in 104 countries. 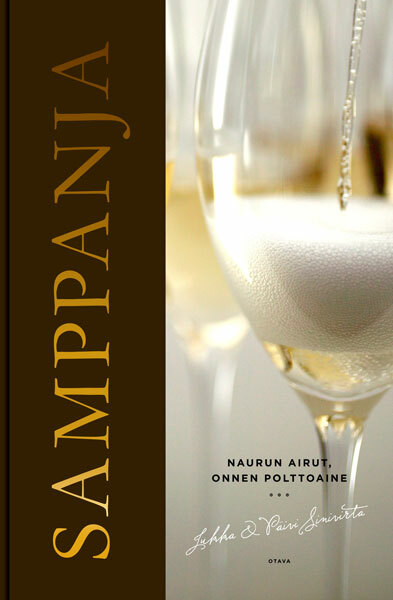 In autumn 2014 Jukka Sinivirta launched a book Champagne Guide, which introduces over 200 producers of Champagne and serves the reader with more than 1500 tasting notes of different Champagnes. In two months it sold 5000 copies. So far all the books are only available in Finnish. Jukka Sinivirta is continuously educating sommeliers, restaurant staff and people of the wine trade besides giving lectures of lighter nature to his business customers. Jukka Sinivirta was nominated as Commandeur d’ Honneur in the Commanderie du Bontemps de Medoc et Graves, Sauternes et Barsac at La Fête de la Fleur 2005. Jukka Sinivirta is the honorary President of the oldest and most exclusive wine club in Finland called Viinin Ystävät r.y. (Les Amis de Bon Vin, established 1967). He was the chairman of the board for this society in 1999 - 2014. Jukka Sinivirta is also the chairman of the board of Vinoteekki Oy, a company offering wine cellar facilities for its shareholders. He is active as a wine lecturer and consultant. For all these activities he has founded a company called Jukka Sinivirta Wine and Food Consulting Ltd. In his private life Jukka Sinivirta cooks with skill and passion, and of course his menus are always paired with excellent wines. He has hosted and cooked privately for some great names of the wine world, like Alessia Antinori, Dominic Symington and Dirk van der Niepoort. As a gastronome he is a fascinating personality, interviewed, introduced and profiled many times by newspapers and magazines like Helsingin Sanomat and Suomen Kuvalehti. He has acted as a role model for many professionals and amateurs in gastronomy. Earlier Jukka Sinivirta worked also as a teacher of mathematics, physics, chemistry and information technology.